10-pack of RotoTail small soft plastic worm tails. 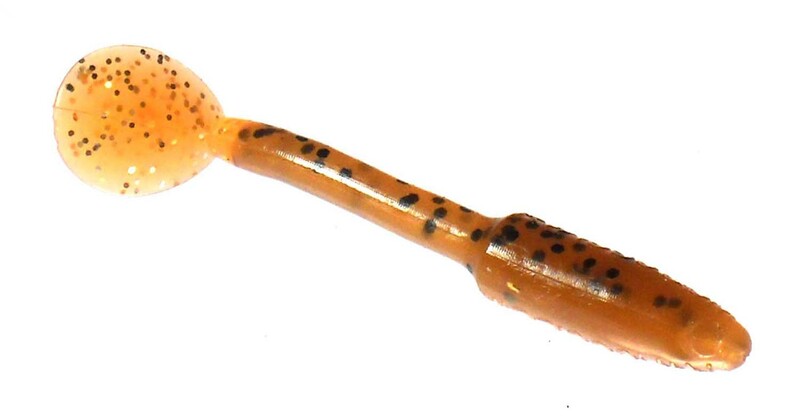 Orange with silver flake soft blade with brown pumpkinseed worm body. Tail spins and sparkles and calls fish, while the pumpkinseed body looks totally natural. Works everywhere.